my life has been the better for having followed Christ." Just one of the many lessons that I learned through reading this book. 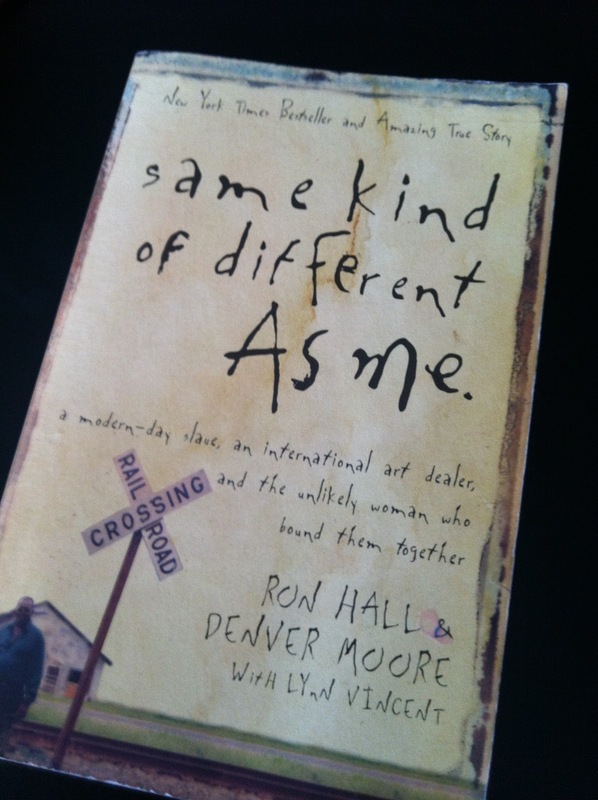 My friend, Kayla, recommended this book to me some time ago. She said it was a life-changer. She wasn't lying. I've had the book a while now, but I find little time to read during the school year. I would pick it up, read a chapter, fall asleep. Repeat this every so often. Finally, with the school year over, I had the time to dedicate to reading this book. It took me all of two days (6 hours to be exact, give or take a few.) Even though I had read the first few chapters already, it had been a while and I wanted a fresh start. So, I back-tracked a bit as our plane took off last weekend. I didn't put it down until we landed. I finished it on our flight back, sending Andy to fetch me tissues from the bathroom as I sobbed, and sobbed, and sobbed. They weren't really sad tears, although it is a tear-jerker. I'm going to make up a word for the tears: they were "inspired tears". Yes, cheesy-sounding, I know. But I can't think of any other way to describe. The book is nonfiction, written by two authors, telling the true story of them both: Ron Hall, who was born as a hard-working "farm boy" from Texas, and grew up to be a very successful art dealer with a loving wife and two children. And Denver Moore, who was born in Louisiana on a plantation, grew up in utter slavery, and was a sharecropper (even though this practice was *supposed* to be illegal). He finally hops a train and ends up in Texas, homeless and angry at the world. Ron and Denver's lives intertwine in a way that they could never imagine, all thanks to Deborah, Ron's amazing wife. Actually, "amazing" does not even begin to describe this woman and the life of faith and service she lead. I feel inspired by having read this book, and it is because of this lady. If you are swaggering in your faith, or just need some inspiration, read this book! "The Word says that God don't give us credit for lovin' the folks we want to love anyway. No, he gives us credit for loving the unlovable." "Most people want to be circled by safety, not by the unexpected. The unexpected can take you over and change your life. Put a heart in your body where a stone used to be." "I used to spend a lotta time worryin' that I was different from other people, even from other homeless folks. Then, after I met Miss Debbie and Mr. Ron, I worried that I was so different from them that we wadn't ever gon' have no kind a future. But I found out everybody's different--the same kind of different as me. We're all just regular folks walkin' down the road God done set in front of us. The truth about it is, whether we is rich or poor or somethin' in between, this earth ain't no final restin' place. So in way, we is all homeless--just workin' our way toward home"
"Our limitation is God's opportunity. When you get all the way to the end of your rope and there ain't nothing you can do, that's when God takes over. The truth is, that which must befall thee, must befall thee. And that which must pass by thee, must pass thee by." "God calls the good ones home so He can accomplish His purpose down here on earth. He sometimes needs to call the good ones home to bring glory to His name"
There are so many more favorites, but I don't want to give away too much of the story! Click here for a video from the book's website. i'm reading that book right now...so amazing!